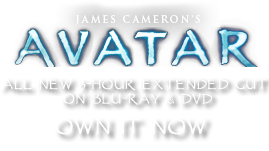 Introducing Pandoran Plants and Animals on Earth | Pandorapedia: The Official Guide to Pandora | Own AVATAR on Blu-ray & DVD Now! Although many species slip into new habitats virtually undetected for many years until their numbers expand, others are monitored and regulated carefully from the outset. Known invasive plants and many exotic pests and diseases may end up on government watch lists and legal authority is assigned to federal, state, or local jurisdictions to prevent new introductions and eradicate existing ones. Such is the case a priori for Pandoran plants and animals if they are ever brought to Earth. Even if they would survive on Earth, their impact on Earth’s environments and biota would be unpredictable until extensive research was conducted. History has shown that even a simple microscopic disease organism introduced to a new susceptible region could wreak havoc on native species as well as humans, so unless the plant has a potential benefit in terms of medicine or bioremdiation, the novelty is probably not worth the risk.